Andreas Mikkelsen won Thursday night's curtain-raising speed test in the 10th round. The 10th round of the World Rally Championship (WRC), which began in southwestern Turkey on Thursday, will end Sunday in the Mediterranean resort town of Marmaris. Turkey hosted 68 cars from 22 countries to race 875 kilometers in 17 stages in four categories. Turkish Automobile Sports Federation (TOSFED) will host the winner aboard a luxury motor yacht for a week to explore the Turkish Riviera. The Castrol Ford Team Turkey is representing Turkey in the championship. Turkey hosted the event and the world's best rally drivers this year after an eight-year hiatus. It will also host the fifth and final round of the 2018 FIA Junior World Rally Championship this week in Marmaris. Some 350 local and foreign journalists are covering the race and some 155 TV channels across the world are broadcasting the event live. 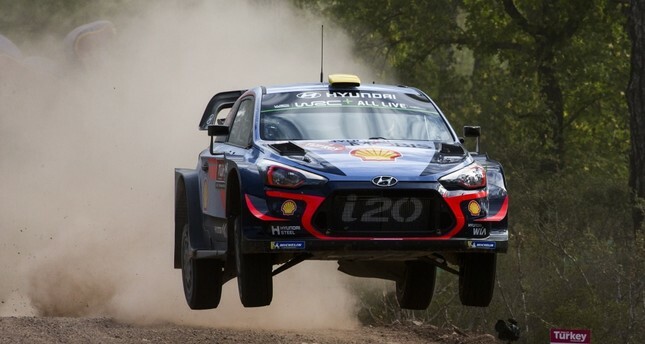 Belgium's Thierry Neuville, who signed a new three-year contract with Hyundai Motorsport on Wednesday, was 1.6 seconds quickest than arch-rival Sebastien Ogier through 4.70 kilometers at the Shakedown stage. Through the packed streets of Marmaris, Norwegian Mikkelsen finished the 2-kilometer special leg in just 2:03 minutes. Turkey's Youth and Sports Minister Mehmet Muharrem Kasapoğlu gave the start signal.